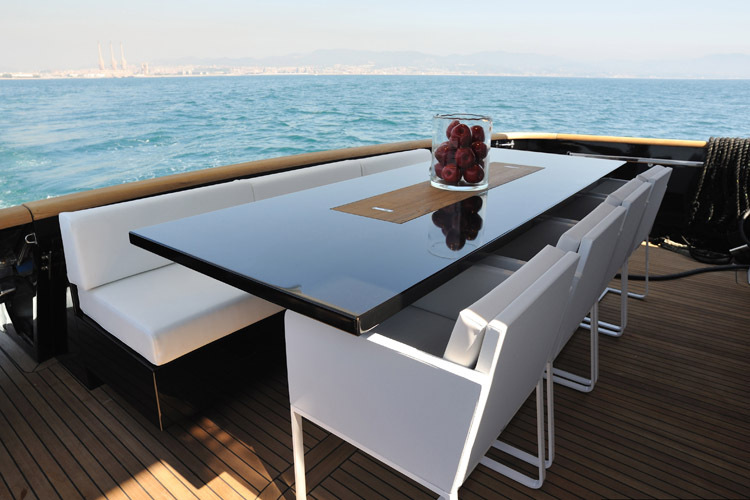 Mondomarine motor yacht PETARDO C was launched in 1995 and refitted in 2011. 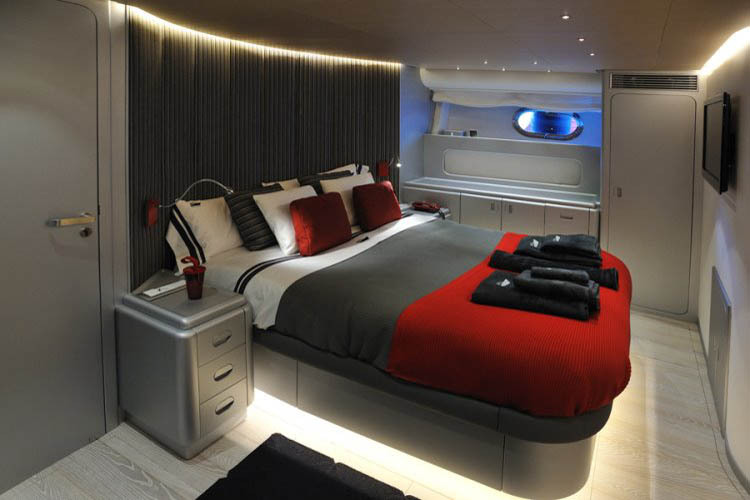 The yacht is 26,05m (85,6ft) overall, and offers accommodation in 4 cabins, for up to 8 charter guests and 2 children. 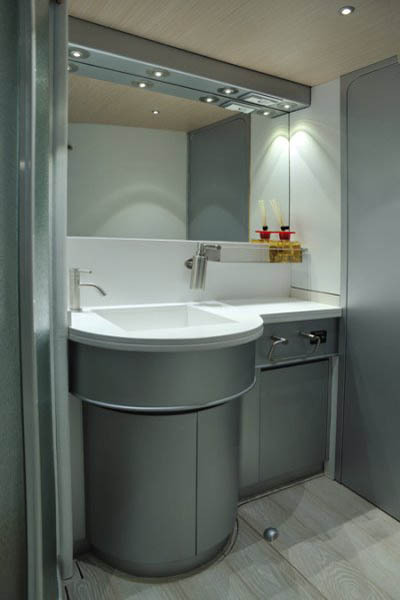 The interior décor has contemporary styling, with cool greys and timeless neutral tones. The salon and dining is an open plan, perfect for social occasions. 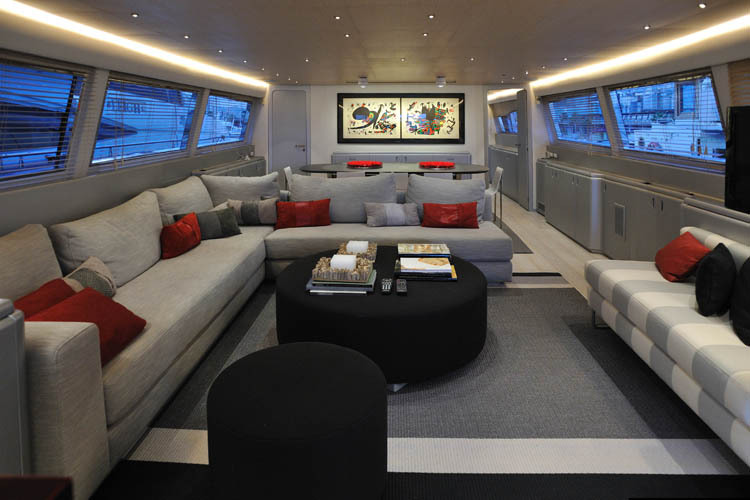 Aft is a generous lounge, with a large sofa, opposing settee, coffee table and full entertainment systems, while forward is the formal dining area. With surrounding elongated windows, ample natural light infuses the interiors. 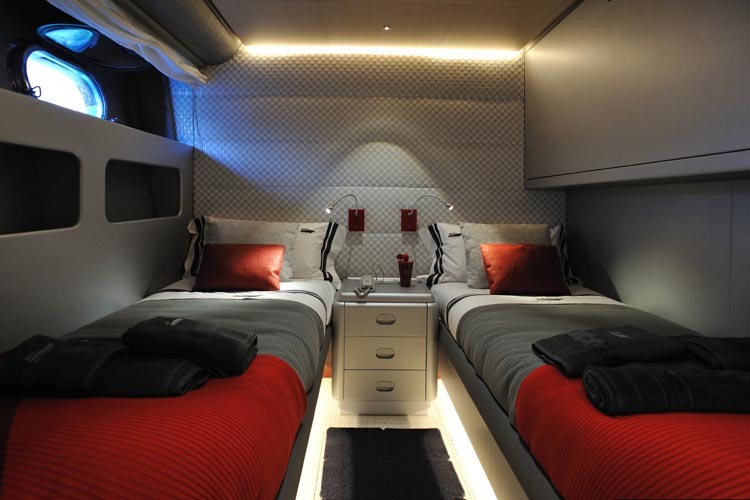 On the lower deck are 4 cabins, each with private en-suite facilities. 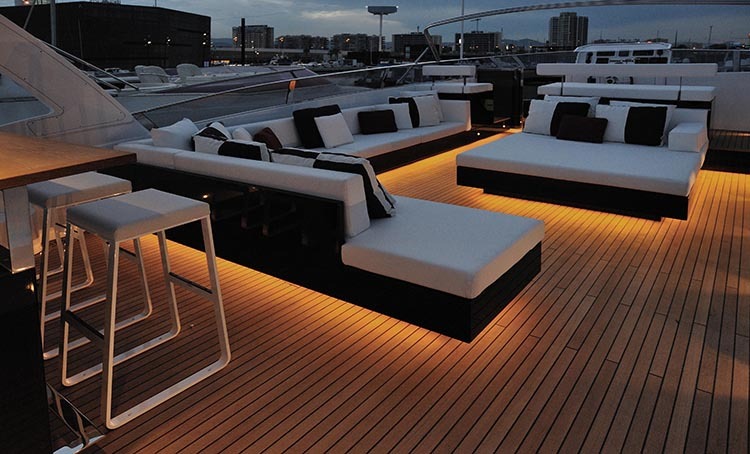 Outdoor living is well-appointed on 2 levels, boasting exceptional space to relax and entertain. 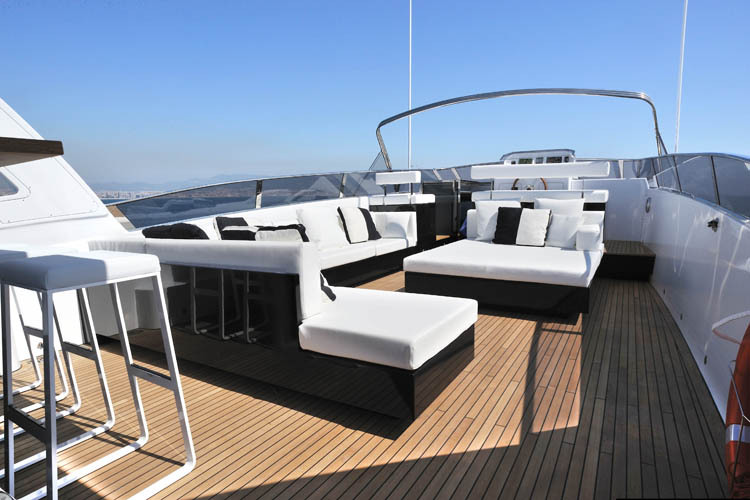 The aft deck is adjacent to the salon and partially shaded with an alfresco dining option. Dual steps on port and starboard give easy access to an extended swim platform and water toys station. 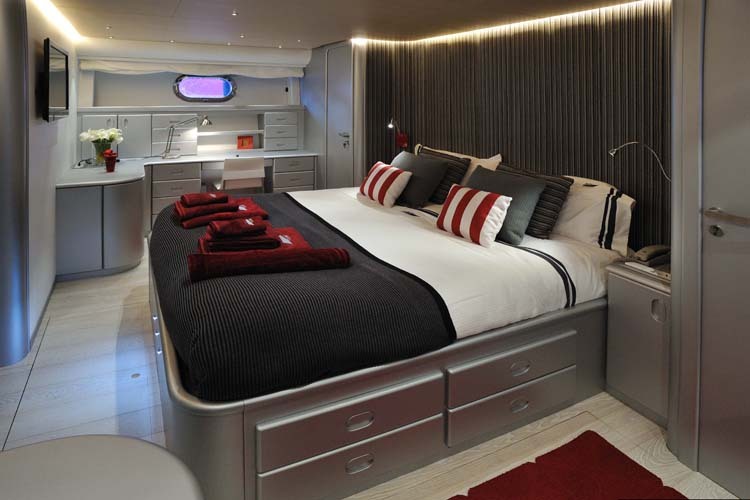 Guests wishing to soak up the warm sun rays, will find the forward sunpads on the bow ideal. 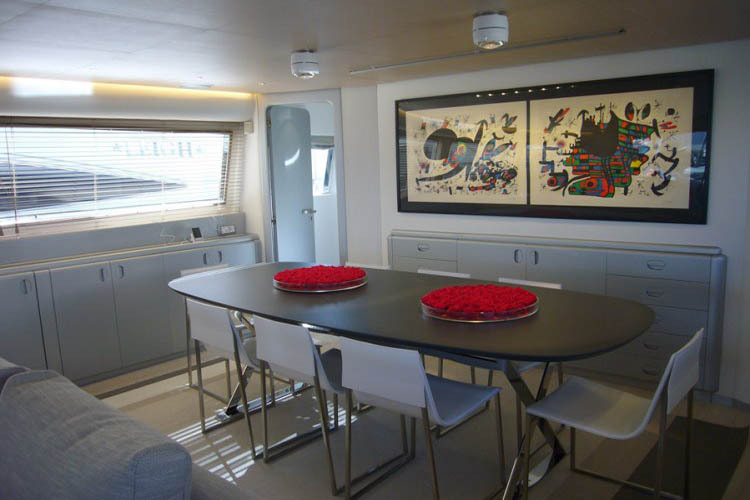 A top sundeck features ample seating, alfresco dining, a Bimini and sunpads. 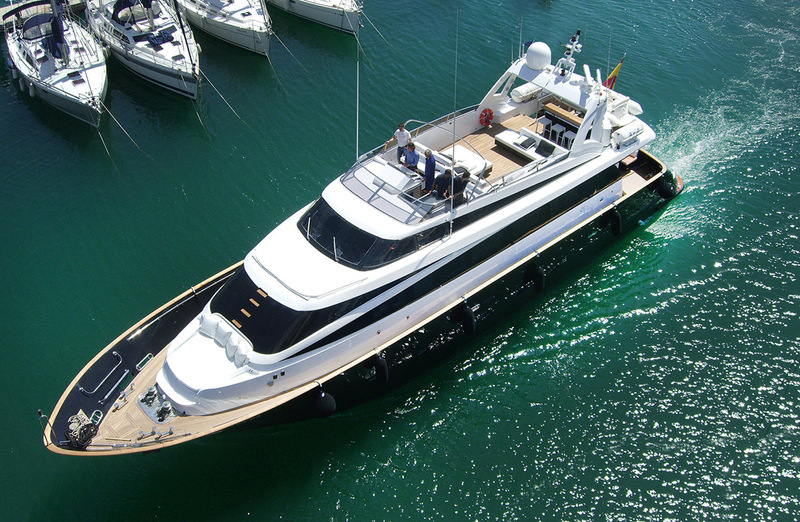 Powered by 2 x CAT 1199hp engines, PETARDO C has cruising speeds of 18 knots and can reach top speeds of 22 knots. 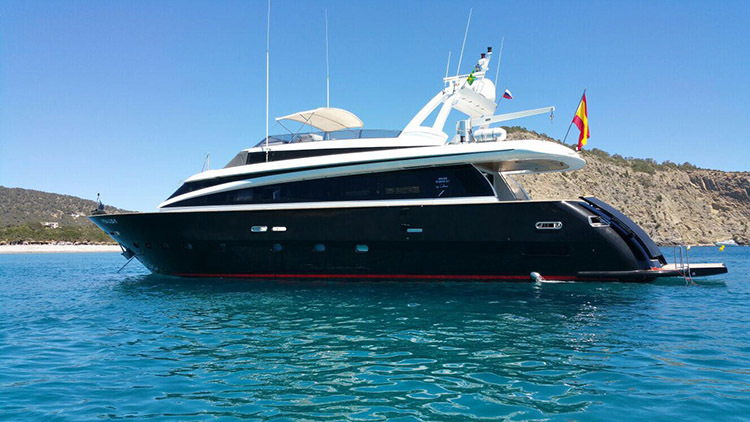 The Mondomarine motor yacht PETARDO C accommodated up to 8 guests and 2 children, in 1 master, 1 VIP and 2 twin cabins, all with private en-suite facilities and full entertainment systems.